This morning I went to the KW Record and picked up my tickets to the Grand River Food & Drink show for which again I’m SUPER excited for! I get to enjoy good food and good wine. I get pretty tipsy from a few glasses of wine so need to remember to bring a bottle of water. Don’t want to be “one of those”!! I also got to meet with a wonderful up and coming reporter for KW Record who contacted me to do an interview. It went well and I like the different take she took and asking more about the local angle. I’m excited to see how it goes. I also met with their photographer and had a whole lot of pics taken. It was super sunny out and I squinted a lot but I’m sure she got amazing pictures. They do have a website and will publish link to article when I know it’s up. Mondays I also get to do my weekly knit night with a group of cool people. It’s been about 2 weeks since one of the group members had surgery. The group is made up of Shannon Wilde (Pic and story to follow), Monica H, Ingrid F, Mary H, Donna B, Candice L, and new addition is Christie M. I didn’t actually do any knitting tonight neither did Shannon but good time had by all every week. I went the first time because of Shannon she said that she met with these group of ladies and they knitted or did other crafty things and suggested that I come along, so I did. It has been an amazing time. 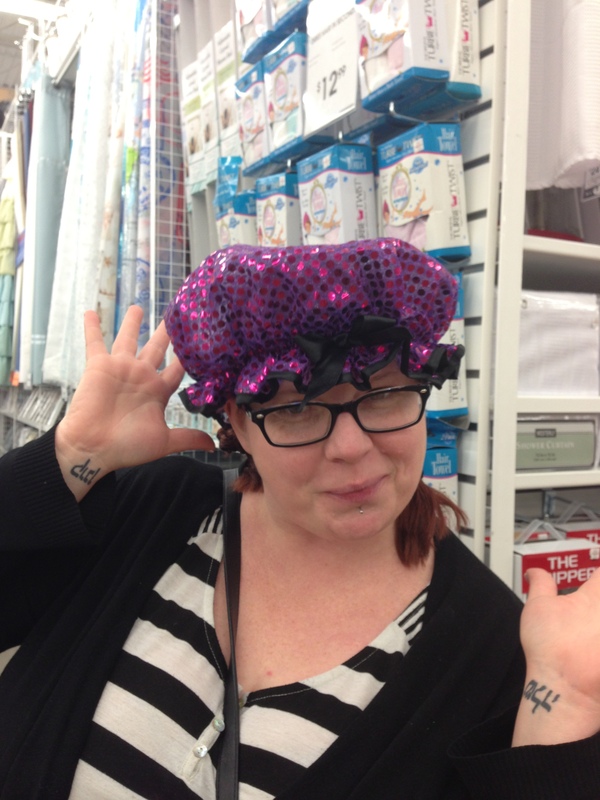 Shannon and I hung out a bit before knit night and we were in Bed Bath, and Beyond and she found this really funny shower cap it was all shiny and glittery. Here she is modeling it!! Today marked another first for me. Today while I was a work an older gentleman spotted me and said “I saw you on the news. Was that you?” I confirmed indeed it was. He gave me a hug and said thank you! I was SO touched and gave him a huge smile. A little while later while I was at the entrance of the building he was passing me with his wife and again pointed out to her that they had seen me on the news. He came over and asked my name when I told it to him he responded “I will never forget it!”. I was SO touched he was so cute and makes me long for my grandparents again. Well that’s all I have time for time to go squeal like a little girl as I see myself again on TV!! YIKES!!. 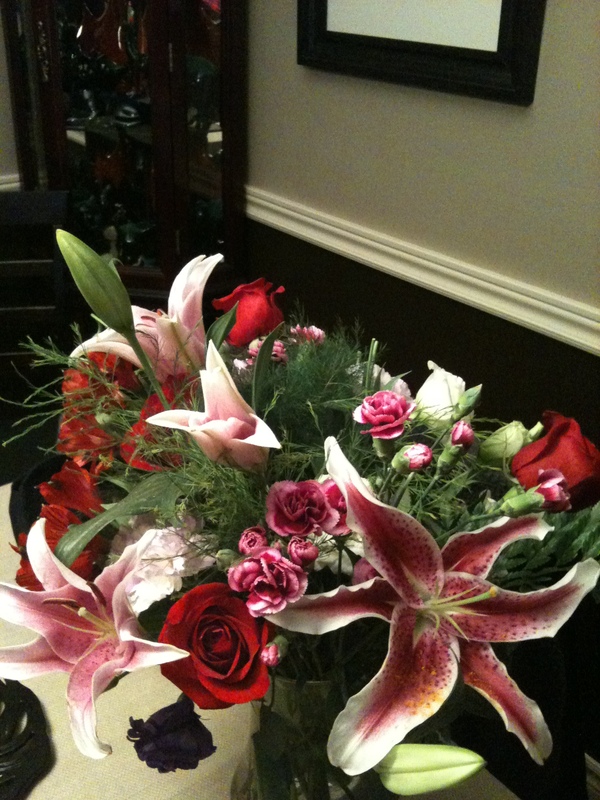 I’m sorry I didn’t answer the questions but will get to those tomorrow!. I saw the story on CTV this evening, and had to find out more about you. I found the local CTV story and watched that too. I think it’s very cool that you’ve turned your complaint to CNN into a bit of a cause. It’s a worthy cause. I kind of, sort of, know how people tend to judge someone by their looks. For me, it’s my weight. That’s a big problem, pun only half-intended. It’s also my prematurely grey hair. I’m 43, and I no longer shop at stores when they have a Seniors Day, because they automatically give me the discount. It’s nice to get ten percent off, but not when it means that people think I look decades older. Yikes! And yes, I know that my complaints are minor. I hope that a lot of good comes out your willingness to go public. And I do hope it leads to a few dates. There’s a great guy out there for you, and I’m hoping that with your viral fame, you’ll have to pick and choose to find the right one. If I were closer to your area, I’d be asking. If nothing else, I’ll be eagerly watching your blog to see what happens! That is so cool you meet up with the reporters and also the phototag. Thanks for another awesome post !